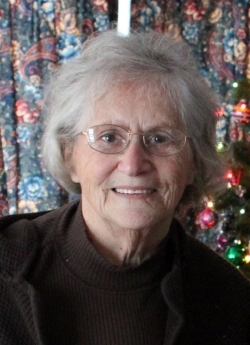 COOPERSTOWN - Marjorie Newell Strait, 80, of Cooperstown, passed away peacefully Tuesday morning, November 15, 2016 at Bassett Medical Center in Cooperstown after a short illness. She was born July 9, 1936, in Cooperstown to Charles A. and Mary (Gavin) Newell. She graduated from Cooperstown High School in 1954 and attended secretarial college in Syracuse. For over 40 years Marge was employed as a secretary in the Surgical Department at Mary Imogene Bassett Hospital in Cooperstown. She also owned and operated The Cooperstown Diner with her late husband, Charles H. Strait. She was famous for her hamburgers and chili. Her sense of humor and generosity will be missed by all who knew her. She is survived by her daughter, Mary Gaughan, son-in-law, Adam Solomon and her beloved granddaughters, Devasha and Sigal Solomon of Brookline, MA; three sisters, Imogene Carter and husband, Dr. Rodman Carter of Palm Coast, FL and Cooperstown, Noreen Newell of Wallingford, VT and Marion "Billie" Williams of Portland, OR; many nieces and nephews; and her friend Wayne Granger. She was predeceased by her mother and father, her husband, Charles H. Strait and three brothers, Charles A. Newell, Jr., Donald Newell and Roger Gavin Newell. A graveside service will be offered at 11 a.m. on Saturday, November 19, 2016, in the Hartwick Seminary Cemetery with the Rev. Betsy Jay, Chaplain at Bassett Medical Center in Cooperstown, officiating. Donations in her memory may be made to Cooperstown Emergency Squad. P. O. Box 322, Cooperstown, NY 13326 or to Friends of Bassett, 1 Atwell Road, Cooperstown, NY 13326.